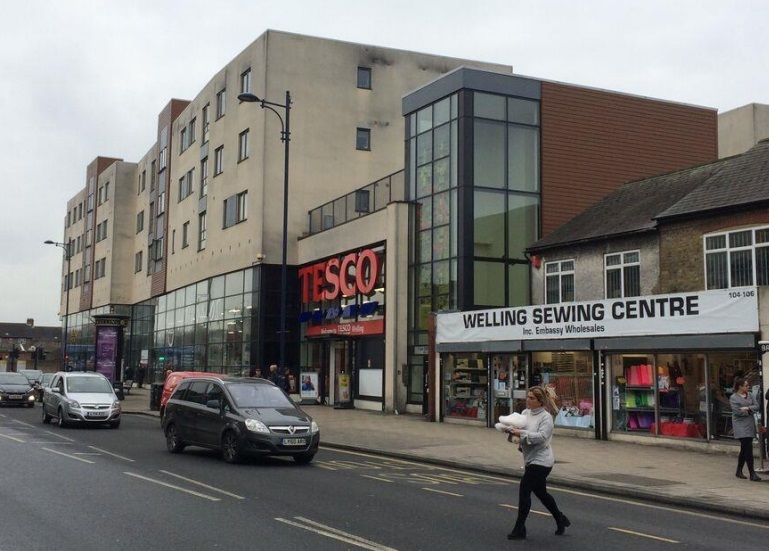 Plans have been submitted to Bexley Council to demolish a shop next to Tesco at 104-106 Welling High Street. A replacement shop unit would be included in plans along with flats above. Ten are planned in total. The current shop building is uninspiring at best. No great loss architecturally. 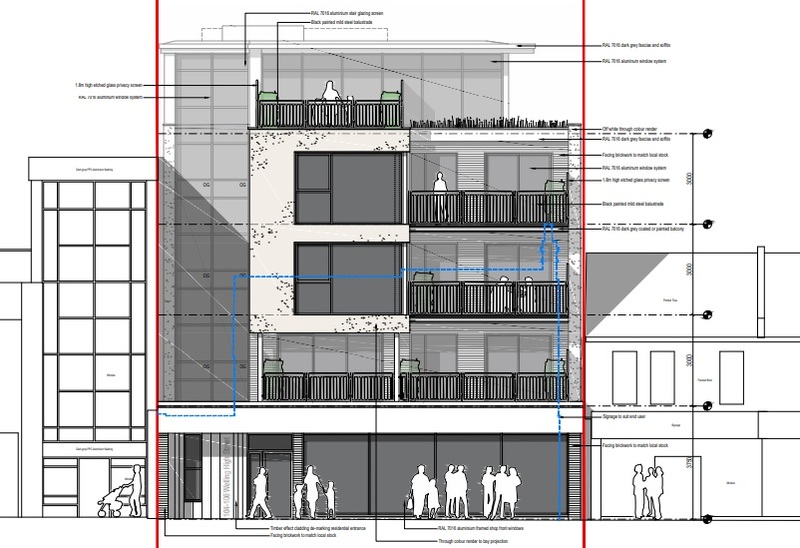 The building would be four stories high which is fine beside the taller Tesco and on a High Street location. The sheer number of public transport options renders having a car unnecessary. No doubt the usual arguments of “what about U, Y or Z” come up but no one will force X, Y or Z to live there. A number of other schemes are on the drawing board in Welling including flats behind the Nag’s Head pub and adding another storey to a number of shops on the High Street. I knew a few people who will be upset at the loss of the sewing centre and I don’t imagine they will come back even if the rent was affordable. Hopefully they can re-establish elsewhere on the High Street. The Sewing Centre (amongst a handful of other businesses on Welling High Street like Cruisin’ Records and the Koffi Pot) have been there for decades, longer than I’ve been alive. It would be a shame if they were forced out of Welling altogether. I hadn’t thought of relocation in the area and I think there are a few unoccupied units nearby. Love Cruisin’ records if only for the fact that such places are vanishingly rare and moving further out of the centre. I used to work in Holborn and remember Barry Paul in Leather Lane where I spent many a lunch hour and bought some great music. I think this development would work quiet well next to Tesco’s. However, I hope the Welling Sewing Centre can be relocated to another shop in Welling.